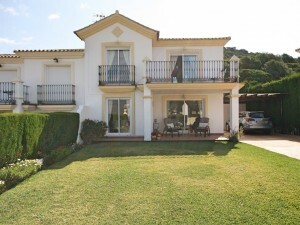 Impressive Villa very well built with quality materials on a large plot of 2.404m2 and located in exclusive, safe area and just 450 meters from the beach. Ground floor: Elegant entrance hall, bathroom, large TV room and reading room, main lounge, large separate dining room, fully fitted kitchen with dining area, pantry, bar with dining area, laundry room, large conservatory with dining table. Upstairs: 4 large bedrooms with fitted wardrobes and en suite bathrooms. The master bedroom with 2 dressing room. Elegant driveway with automatic gate, 3 car garage with workshop, utility room and bathroom. 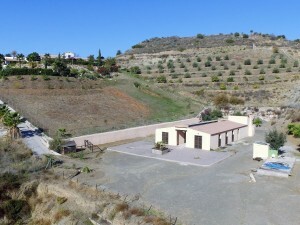 Large warehouse ideal to convert into a guest house or barbecue house. 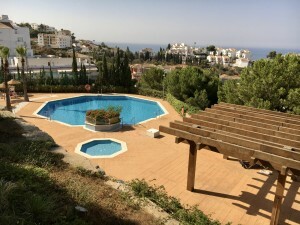 Beautiful lush garden with automatic irrigation system with water from its own well and large pool with lots of privacy. Property in perfect condition with marble floors, under floor heating throughout the house, double glazed windows. Plot 2.404m2. Total built 710m2. Living area 516m2. Porch 10m2. Warehouse 94m2. Garage 90m2. Pool 69m2.